When I attended my first Stampin' Up! workshop, I was taken with the idea of using a pigment ink (Stampin' Up! 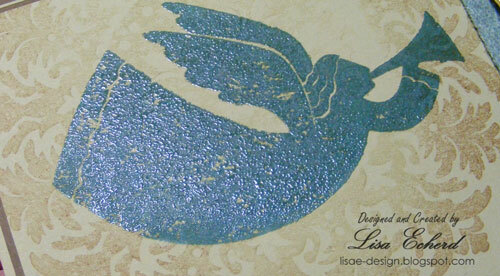 Craft) and then clear embossing powder to create an embossed image. I just loved the look. I still do yet Stampin' Up! no longer offers pigment inks and really, I don't want to invest in pigment inks just for the few times I do embossing in a particular color. With this technique, I don't have to. In the short video here, I use the Stamp-a-ma-jig and some Versamark to help create an embossed look with virtually any ink. In this longer video, I use the same technique and create the Christmas card above that uses current SU! 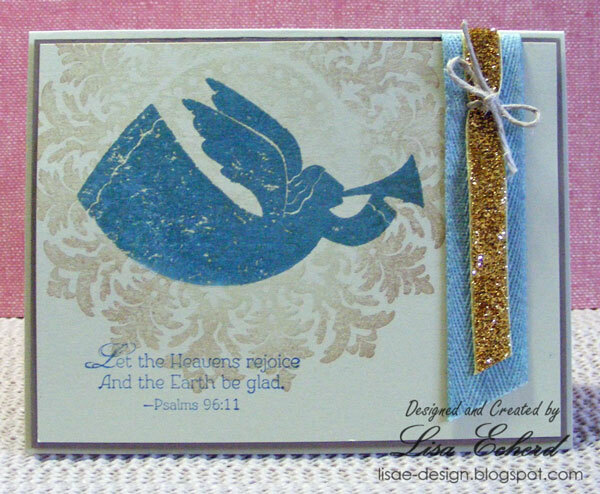 stamp sets Rejoice and the Medallion background stamp. Hope this helps you get a bit more out of your products. Thanks for watching! I never do embossing but I love the look of it. Such a pretty card!